BHLDN Willowby By Watters Penelope Gown Brand new, only worn once for fitting. Tagged US size 0 but fits UK6-8 best. 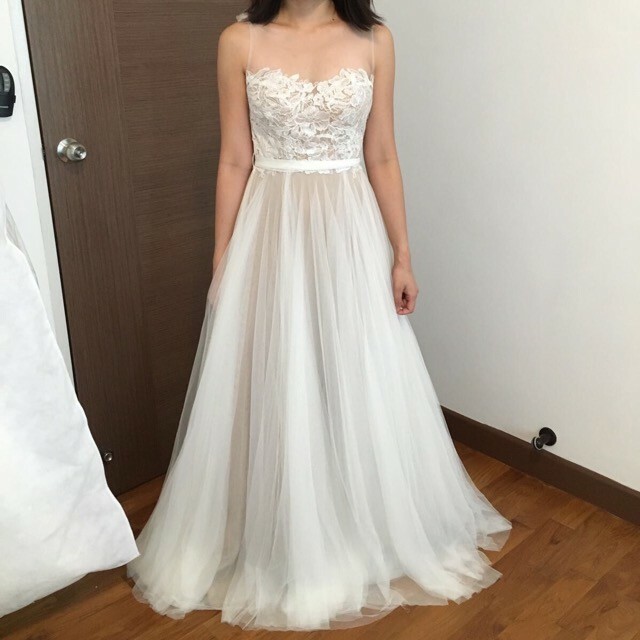 Measurements according to BHLDN website: Bust 33", waist 26", length from centre back to hem: 74.5"
Price nego for sincere buyers, ships worldwide. Once you send a message, Winnie can invite you to purchase the dress.